Target is having a 3 day spend $50 get a $10 gift card deal starting today. Here's my shop. 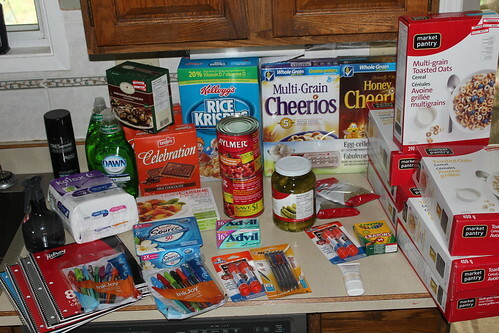 Total spent was $75.93 after $19.88 in coupons and $2.81 in Red Card savings it came to $53.24. I did CH 51 for the Tresemme, Dawn and Advil for a total of $5.50. I also did .75 for Lean Cuisine through Zweet. $16.79 I will get back for the Alamy MIR. I got a $10 Target gift card and a coupon for free eggs(value $2.99) on my cereal and 2, $1 off coupons on my tomatoes. Grand total....all of this for $15.39! Lean Cuisine $2.47($1.50 coupon from their Facebook page and .75 off from Zweet)Total .22! You might be qualified to get a $500 Walmart Gift Card.